Born in 1949 in Napanee, Ontario, Canada pastor Dale is the youngest child in a family of ten children. He was educated locally, including three years of Bible School training at Apostolic Missionary Institute. Upon graduation in 1970 he immediately entered full time Christian ministry in which he has been engaged ever since. Pastor Dale has pastored in Canada and the USA. He has traveled much of these two countries as well as Africa and areas of the Caribbean. He is a teacher by gifting with a strong prophetic emphasis. He has been married to his wife Wenda since 1972, who has always been involved in the ministry with him. After many years of being without children, the Lord granted their desire for a family in the person of a beautiful daughter. 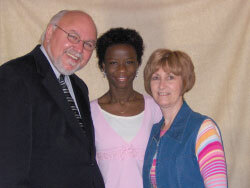 Pastor Dale discovered her in an orphanage in Haiti. The Holy Spirit immediately testified that this ten year old girl was to be their daughter to raise in the great purpose of God. After a lengthy adoption process, in which many miraculous acts were experienced, Darline arrived in Toronto on Good Friday, April 13, 2001. After his last pastorate in Nova Scotia pastor Dale came to Kingston Christian Fellowship as an invited speaker. From that time forward KCF became his centre of ministerial activity, which was divided between the home setting and his itinerate involvement. With the significant growth of the home church the balance of ministry shifted to an ever increasing engagement in KCF, until in July of 2005 pastor Dale became the full time associate pastor. He now serves as the lead pastor of KCF. Pastor Adam and Candice are a vibrant, young couple. Adam grew up in Ontario while Candice was born in British Columbia and spent most of her early years there. They were married in 2005 and have two daughters. They moved to Kingston to be a part of KCF in 2010. 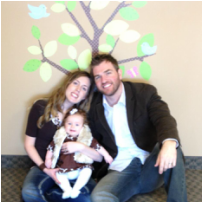 Adam and Candice have a zeal for life and live to experience God. They have a passion for the presence of God and want to lead people into an intimate relationship with their Creator. They understand that God is bringing the church to a place of "attaining to the whole measure of the fullness of Christ." They believe we are living in exciting times in which God wants to move mightily not only in our city and country but throughout the world. They recognize the great destiny of this city to our country and beyond, and are excited to pursue that destiny to it's fulfillment. Pastor Dave Thompson was the founding pastor of Kingston Christian Fellowship. His ministry started with the Thursday Night Group, an in-home gathering of parishioners. Incorporating KCF in 1978, he was bi-vocational for 35 years, working for Ontario Hydro while building the Body of Christ. In 1992 he retired from industry to enter full-time pastoring. They have been blessed by two children and six grandchildren. Pastor Dave went on to be with the Lord in the Spring of 2012.